Deciding what size your PV system will be and exactly how many solar panels your home will need requires you to know what your energy goals are. Do you want to save money on power? Reduce your families carbon footprint or increase the value of your home? Many of our customers ultimately want to accomplish all of the above by paying less for power by locking in their rates for several years while minimizing our impact on the environment by reducing our need for fossil fuels. To decide how many solar panels you need, you need to figure out several factors like how much energy your household uses now and what your energy needs may be in the future. How much available roof surface is possible for solar panels. Overall sunlight exposure in your area. If net metering is still available from your power company and finally the overall output and efficiency of your photovoltaic (PV) technology will factor into your decision to go solar. Don’t worry your CalState Solar professional will answer all of these questions and more during your free solar consultation to determine the number of solar panels required for your house to meet your energy goals. 1. What is the amount of energy your family uses? To figure this out, we need to look at your past electricity bills using the kilowatt-hours (kWh) as our primary indicator of your families daily average power use. You can get this result by dividing the monthly average by 30 of the last 12 months of bills or 365 days by the annual kilowatt-hours (kWh) usage. Before your consultation, it’s a good idea to gather past statements if you have them on hand. If not many power companies now have online customer dashboards which allow us to look at this data quickly. Several factors impact solar panels and their efficiency. Depending on where you live, and the weather there be long periods of inadequate sunlight. Your PV system may also collect or store energy inefficiently. We suggest adding a 25% buffer to offset any of these scenarios. 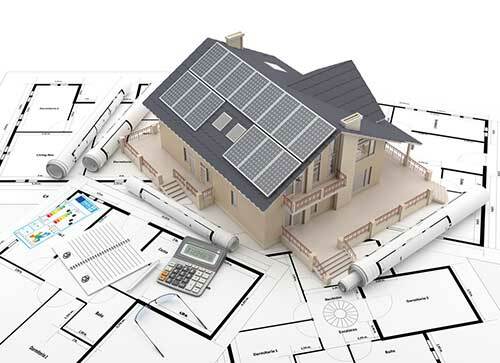 More importantly, we will recommend the most efficient system based on your solar goals. ​3. How many hours does the sunshine on your home? Luckily in California, we get consistent sunshine throughout the year, and this will undoubtedly have a positive impact on your solar system. Due to a steady supply of sunlight hours in California, you can have fewer panels than a homeowner in other parts of the country who has far fewer days of sunlight and more changes in weather. ​4. How many panels does it take to produce my target hourly wattage? Solar panels vary widely in regards to performance and quality from manufacture to manufacture ranging in wattages from 150 watts to 350 watts per panel depending on the panel size and cell technology used. The good news is we have several panel options from many panels manufacturers, and we can match your panel options to your needs easily. Formula: Divide your home’s hourly energy demand by the wattage of your solar panels to precisely conclude how many panels your home or business will require. 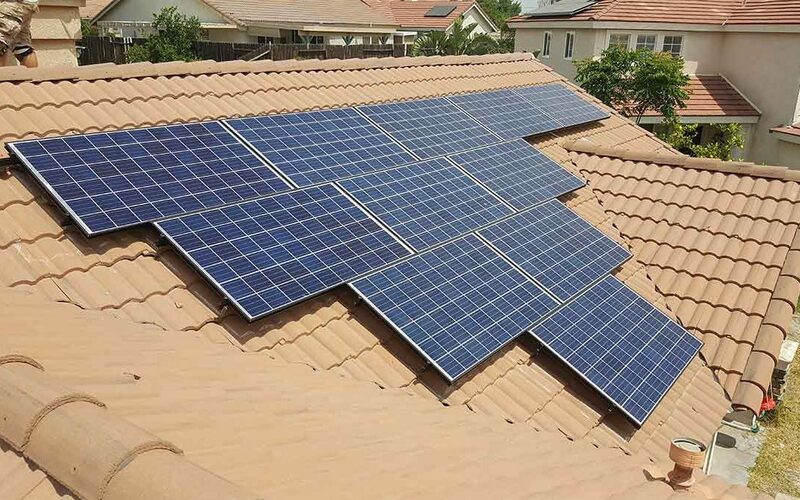 Finally, our installation team must evaluate your homes roof structure, the position of the sun and several additional factors like Californias mandatory 3 feet panel set back rules to see if we would be able to install the required quantity of panels on your roof to accomplish your daily energy production goals. If you’re ready to get started, please give us a call today at 949-789-7990 or submit your information in the short form below.